It’s no secret that Central Virginia is a wonderful place to live. Its scenic mountain views, numerous outdoor activities and less hectic lifestyle have made this area a hotspot—for younger generations just starting out and retirees looking for a quiet place to call home after finishing up long careers. Perhaps the most important draws for people in the area are the low cost of living and affordability of real estate. The average home price in the Lynchburg region is $149,600, 19 percent below the national average. With all of the positive changes that have occurred in Lynchburg in the past few years, now may be a great time to take that next step towards owning a home. The greater Lynchburg area is growing with a workforce that is increasing in number each year. The Lynchburg Regional Business Alliance has made many successful efforts in recruiting companies to either relocate to the area or expand their current business. According to their website, “outstanding schools, nationally renowned healthcare services, mild climate and a host of recreational and cultural opportunities make the Lynchburg region an ideal place to live and work.” In April 2018, Framatome, a leader in nuclear energy, announced that it was relocating its headquarters to Lynchburg. Framatome employs 1300 people locally and employment in the area is expected to grow because of their move. Centra Health, a company at the forefront of medical care in Central Virginia, employs 8500 people and is continuously recruiting people to Lynchburg and the surrounding area. Lynchburg General Hospital, Stroobants Heart Center and its many outreach health centers bring a diverse population and add a dynamic to our ever-changing city. Another wonderful recent improvement to Central Virginia’s cultural landscape has been the revitalization of downtown Lynchburg. With the Academy Center of the Arts’ reopening of its historic Academy of Music and the addition of new bars, restaurants, food trucks and a strong push to shop local, an entirely new lifestyle can be enjoyed in the area. Changes in the Lynchburg region have come about in no small part as a result of numerous young people who are graduating from our colleges and universities, deciding to stay here and making this area home. Graduates of Liberty University, Randolph College and the University of Lynchburg are opening businesses, buying or renting homes and starting families right here. Ultimately this growth and development has encouraged a variety of people to live in our community and surrounding counties and has created new housing demand that enlivens the overall state of the housing market. Demand for housing in the area can be categorized in a few different ways. There are many people looking for new construction; whether in apartments or townhomes, smaller single-family dwellings, or larger custom homes, they desire something new. Although there is little land available in the city to build upon, there are a few neighborhoods and developments in the city where lots can be purchased for custom builds, including The Preserve at Oakwood and Cottage Hill. 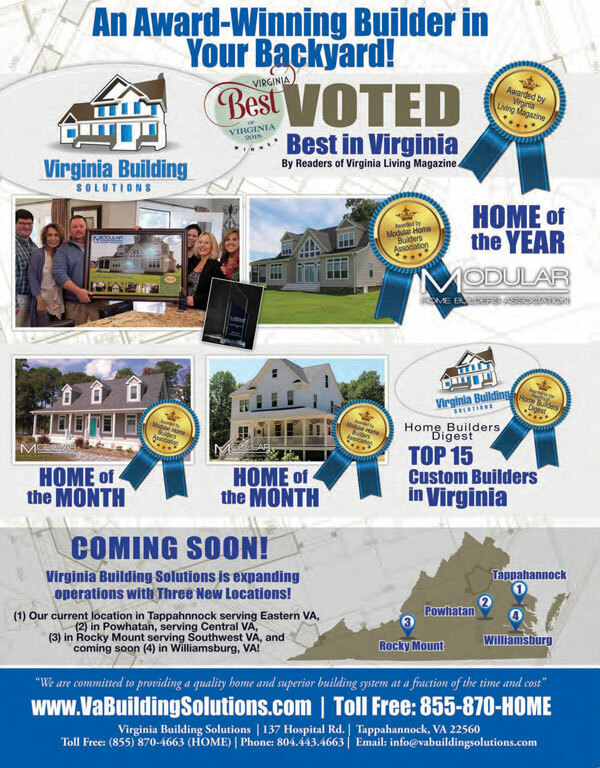 New construction opportunities in Bedford, Campbell and Amherst counties are plentiful: In Bedford County there are several new residential communities and a few more in the works. Campbell County also has newer developments including Leesville Road Estates and Trents Landing, both offering newly constructed homes and lots available for sale. For those buyers with a special interest in the environment, Cottage Hill is the first neighborhood in the city to conform to the Chesapeake Bay Preservation Act, according to Billy Flint, principal broker at Flint Property Group. It truly is a green neighborhood, with special consideration given to grading and drainage, so buyers can feel good about the environmental impact of their purchase. For more affordable new construction, Flint says “Bedford and Campbell counties, with far more developable land, continue to offer more singlefamily construction in a wider range of prices.” Flint also sees rising demand for housing available for purchase in downtown Lynchburg; there are currently many downtown apartments and lofts for rent, but not a lot for sale. He feels there will be a need for condos to purchase in the future, including luxury properties for buyers who desire high-end lifestyles in a downtown setting. 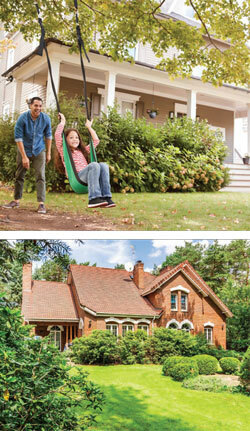 Looking for ways to make your property stand out in the competitive market? We surveyed local real estate pros about what they’re hearing from buyers right now—what they’re looking for on the market, as well as feedback on properties they’ve seen. Lauren Bell , Lauren Bell Real Estate Curb appeal, a well-manicured lawn and landscaping. Great outdoor space in back…a nice deck, patio, screened in porch, fire-pit or outdoor fireplace. Outdoor spaces are huge—the front yard and back yard are equally important! Dori Conner, Consensus Real Estate Open flow, good floor plan for entertaining. Robert Dawson, Berkshire Hathaway HomeServices Dawson Ford Garbee & Co REALTORS Nice finishes, they seem more concerned about appeal than quality. Betsy Ferguson, Lynchburg’s Finest Real Estate A home that has been well maintained. Billy Flint, Flint Property Group Correct pricing. Erin McWane, Blickenstaff & Company, Realtors Neutral décor and colors. They convey a sense of peacefulness and comfort, and also help the buyer to easily visualize their personal belongings throughout the residence. Wanda Ott, NextHome Updated kitchen and baths. Amy Scott, Flint Property Group A floor plan that makes sense. Often there are functional issues with a house that are tough to overcome—a tiny bedroom that really would be tough to use, a small kitchen or lack of storage space are often deal killers. Nadine Blakely, REALTOR RE/MAX 1st Olympic Realtors Main level living; open concept floor plan; outdoor space for private entertaining. Kate Blickenstaff Poats, Blickenstaff & Company, Realtors Amenities and high-end finishes over square footage. Wanda Ott, NextHome Laundry placement. Erin McWane, Blickenstaff & Company, Realtors Sellers’ Personal Items. How the seller lives in their home and how they should decorate to sell are very different. Buyers need to be able to clearly envision themselves living in the home, and in order to do so, sellers should absolutely remove personal effects and family photos. Amy Scott, Flint Property Group As crazy as this sounds, a house needs to smell good, be visually appealing, and buyers should be able to focus when they are at a showing. Cigarette smoke, barking dog, cooking odors, and darkness are HUGE turnoffs. Billy Flint, Flint Property Group Wallpaper. Kate Blickenstaff Poats, Blickenstaff & Company, Realtors Small bedrooms and lack of outdoor space for entertaining. Nadine Blakely, REALTOR RE/MAX 1st Olympic Realtors Homes that are not well maintained; close proximity to neighbors; lack of updates. Robert Dawson, Berkshire Hathaway HomeServices Dawson Ford Garbee & Co REALTORS Lack of natural lighting. Dori Conner, Consensus Real Estate Age of roof, heat pump—big ticket repair items. Lauren Bell , Lauren Bell Real Estate Dirt and grime: when the house hasn’t been cleaned. Little things like dirty air filters show that the home is not well-maintained. I always tell my sellers to get a professional deep cleaning before we list. 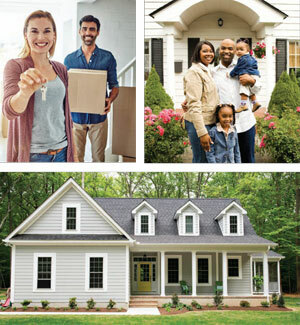 An important and crucial way to gauge the market in any area continues to be home prices and sales of existing homes. Hall says locally, “The average starter home has risen to a range of $125,000–175,000, mid-range homes are from $200,000- 325,000 and luxury homes start around $400,000 and rise to the $1,000,000 mark.” Overall, average home values seem to have risen in the past few years. In 2017 the average sale price in the area was $192,950; in 2018 it rose to $201,327. He reports that within those ranges, some had no change at all and others had larger than average increases. Sales of existing homes were up 4.5 percent in 2018 which shows that buyers are taking the risk of entering the market. Also relevant to demand, the average time on the market for homes has decreased nearly 25 percent—from 91 days in 2017 to 70 days in 2018. 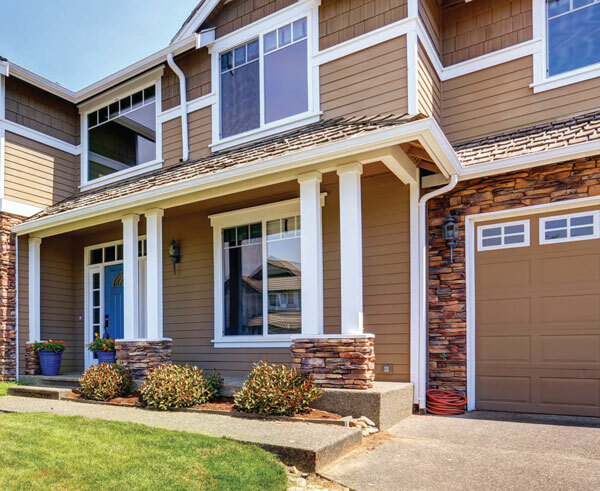 All of these factors contribute to a healthy market, but perhaps the most important factor is the presence—or lack—of inventory. “If there is one weak area in existing single-family offerings in our area, it is the very high end— $750,000 and up,” says Flint. “Fewer families seem to want or need six bedroom homes with 6000 plus square feet,” says Flint. Hall echoes that sentiment: “The higher the value, the more limited the buyers are,” who are able to finance those properties. “Many in the upper price range,” reports Hall, “are building custom homes rather than purchasing existing ones.” A healthy market has a higher inventory of affordable single-family homes. In 2018, over 350 homes were sold in the $150,000 to 300,000 range. Hopefully as we move through 2019, inventory will be on the rise in all price ranges as more and more people decide to list their homes for sale. Buying or selling— is now your time?